Prices on vacation in Crimea, 2019. Holiday by the sea. 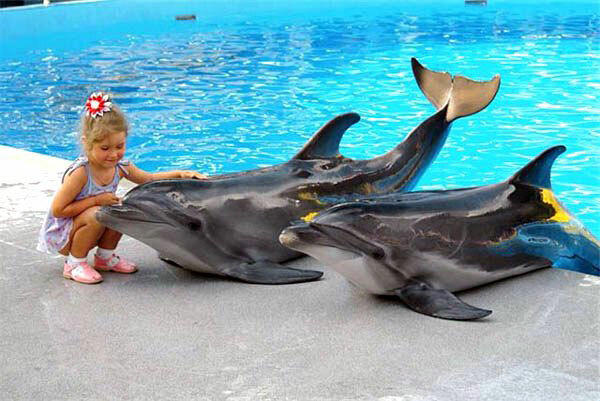 Vacation in the Crimea. Preordered holiday house in Crimea! Prices on vacation in the Crimea in 2019 - very different. 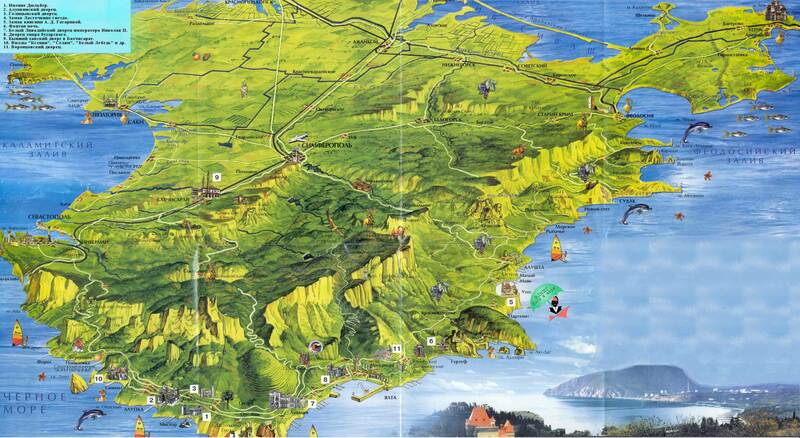 We will not argue about what a vacation in Crimea to consider expensive or budget. Some people prefer to holiday on the Black Sea in 2019, savage and consider it quite comfortable, while others prefer a comfortable VIP vacation in the Crimea. 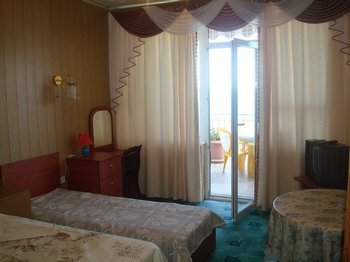 Below we describe the advantages that we believe make a vacation in Crimea, fun, fitness and full of pleasant experiences. A decision to make, of course, only you, dear visitor. 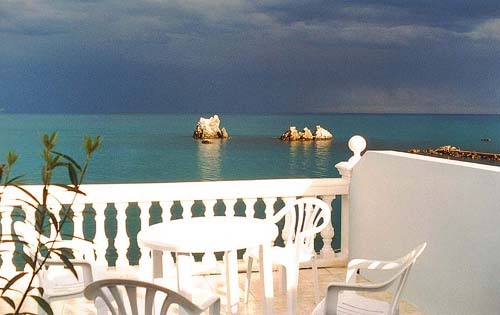 holiday house "Feet in the Sea"
Wellness VIP vacation in Crimea holiday house "Feet in the Sea " at the expense of providing a good location - in the town of holiday house Uteos that between Yalta and Alushta, 4 km from the highway. This allows us to feel surrounded by the primitive nature - at the same time not too remote from the great civilization. The building has 5 floors of a hangar, situated near the sea (a few meters from the water), and adjacent to the magnificent ancient landscape park, which was founded in the early 19 th century - in 1812. Holiday house has its own private beach, which is spacious, and you can relax while enjoying the soothing whisper of the sea, eyes closed feeling the warm skin caressing wind. A nanezhivshis under the sun enough - you can always surrender to the sea, which gladly take you in their passionate embrace of water. On campus there are pebble beaches (pebble - fine), so you can rest easy - the wind does not play with you a joke and not obsypet you sand. Also at the slightest wish, you can use the sun loungers and umbrellas. In the building of the holiday house lovely spacious 2, 3, 4-person suites, in which white balconies overlooking the sea make it possible, without leaving plenty of room to admire sunrises and sunsets, sunbathe. I would like to emphasize that due to the successful use of spiral staircases, holiday house "Feet in the Sea" has a spacious than can boast not one shed. Tennis courts for tennis, sauna and massage services must be ordered in advance. Campus slipways and beaches guarded. Also there is a guarded parking lot a hundred meters from the building, where our guests can arrange their iron horses. Catering - for an additional fee. The fact that you have the opportunity to eat as you prefer: order room service, eat at work until late at cafes and restaurants on the waterfront - not only enjoying a meal, but the contemplation of the sea at different times of day. 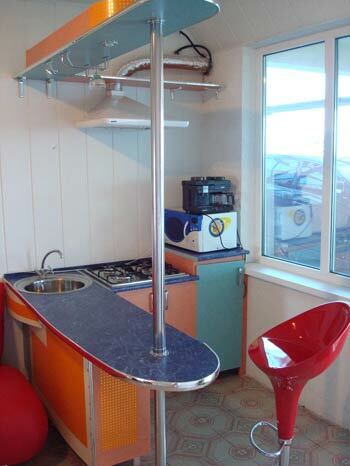 Or, if you can not imagine holidays without pans - you can prepare yourself in the shed have everything you need. Prices of food - ranging. In addition, if you wish, you can always go to grocery stores or on the market - they are located next to the hangar, just a hundred meters away from the holiday house "Feet in the Sea". As you can see - the choice is wide enough types of food and therefore food is not included in the price. water attractions: "floating banana", etc. 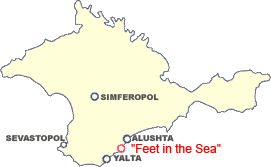 if you wish, you can always go to grocery stores or on the market - they are located next to the hangar, just a hundred meters from the hangar "Feet in the Sea"
From Simferopol railway station or airport - by shuttle flight Simferopol-Yalta. Exit at the stop "Uteos" or a direct flight Simferopol-Uteos. For an additional fee ($ 25) We can meet at the airport or train station - you will meet and bring in the holiday house on the car. Fee is stable and does not depend on how many travelers transporting cars - one person or a family (company). Rate for that room per night is without a meal. Payment - either. The calculation in the hryvnia, the cash rate, the payment date. Elling is open all year. In the off season (from autumn to spring), you must book rooms by phone at least - 4 days before you plan to come.